Montgomery is the capital of the state of Alabama and is the county seat of Montgomery County. Named for Richard Montgomery, it is located on the Alabama River, in the Gulf Coastal Plain. As of the 2010 Census, Montgomery had a population of 205,764. It is the second-largest city in Alabama, after Birmingham, and the 103rd largest in the United States. The Montgomery Metropolitan Statistical Area had a 2010 estimated population of 374,536. It is the fourth-largest in the state and 136th among United States metropolitan areas. Montgomery has won several national awards including being voted Best Historic City by USA Today and being named an All-America City in 2014 by the National Civic League. Montgomery has also been recognized nationally for its successful, and ongoing downtown Revitalization. In 1785, Abraham Mordecai, a war veteran from a Sephardic Jewish family of Philadelphia, Pennsylvania, established a trading post. The Coushatta and Alabama had gradually moved south and west after the French defeat by the British in 1763 in the Seven Years' War. They moved to Mississippi, Louisiana, and Texas, areas of Spanish rule, which they thought more favorable than the British. By the time Mordecai had arrived, Creek had settled in the area, under pressure from Cherokee and Iroquois warfare to the north. Mordecai married a Creek woman. When her people had to cede most of their lands after the Creek War, she joined them in removal. Mordecai brought the first cotton gin to Alabama. The Upper Creek were able to discourage most European-American immigration until after the conclusion of the Milledgeville, Georgia. The first group of European-American settlers to come to the Montgomery area was headed by General John Scott. 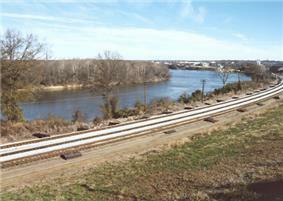 The group founded Alabama Town about 2 miles (3 km) downstream on the Alabama River from present-day downtown. In June 1818, county courts were moved from Fort Jackson to Alabama Town. Soon after, Andrew Dexter, Jr. founded New Philadelphia, the present-day eastern part of downtown. He envisioned a prominent future for his town; he set aside a hilltop known as "Goat Hill" as the future site of the state capitol building. 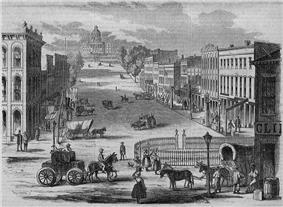 New Philadelphia soon prospered, and Scott and his associates built a new town adjacent, calling it East Alabama Town. 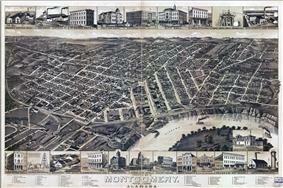 Originally rivals, the towns merged on December 3, 1819, and were incorporated as the town of Montgomery. As state capital, Montgomery began to influence state politics, and would also play a prominent role on the national stage. Beginning February 4, 1861, representatives from Alabama, Louisiana, Mississippi, and South Carolina met in Montgomery, host of the Southern Convention, to form the Confederate States of America. Montgomery was named the first capital of the nation, and Jefferson Davis was inaugurated as President on the steps of the State Capitol. On April 12, 1865, following the Battle of Selma, Major General James H. Wilson captured Montgomery for the Union. Union Station Montgomery, circa 1900. According to the historian Greyhound Bus Station during the Freedom Ride of May 1961. Outraged national reaction resulted in the desegregation of interstate public transportation. Martin Luther King returned to Montgomery in 1965. Local civil rights leaders in Voting Rights Act of 1965, to enforce the rights of African Americans and other minorities to vote. On February 7, 1967, a devastating fire broke out at Dale's Penthouse, a restaurant and lounge on the top floor of the Walter Bragg Smith apartment building (now called Capital Towers) at 7 Clayton Street downtown. Twenty-six people lost their lives. In recent years, Montgomery has grown and diversified its economy. Active in downtown revitalization, the city adopted a master plan in 2007; it includes the revitalization of Court Square and the riverfront. Many other projects under construction include the revitalization of Historic Dexter Avenue, pedestrian improvements along the Selma to Montgomery National Historic Trail, and streetscape work and thecontructionon of a new enviromentall park on West Fairview Avenue. Downtown Montgomery lies along the southern bank of the Alabama River, about 6 miles (9.7 km) downstream from the confluence of the Coosa and Tallapoosa rivers. The most prominent feature of Montgomery's skyline is the 375 ft (114 m), RSA Tower, built in 1996 by the Retirement Systems of Alabama. Other prominent buildings include 60 Commerce Street, 8 Commerce Street, RSA Dexter Avenue Building, and many other structures(See Tallest Buildings in Montgomery, Alabama). Downtown also contains many state and local government buildings, including the Alabama State Capitol. The Capitol is located atop a hill at one end of Dexter Avenue, along which also lies the Dexter Avenue Baptist Church, where Martin Luther King, Jr. was pastor. Both the Capitol and Dexter Baptist Church are listed as National Historic Landmarks by the U.S. Department of the Interior. Other notable buildings include RSA Dexter Avenue, RSA Headquarters, Alabama Center for Commerce, RSA Union, and the Renaissance Hotel and Spa. One block south of the Capitol is the First White House of the Confederacy, the 1835 Italianate-style house in which President Jefferson Davis and family lived while the capital of the Confederacy was in Montgomery. Montgomery's third National Historic Landmark is Union Station. Passenger train service to Montgomery ceased in 1989, but today Union Station is part of the Riverfront park development, which includes an amphitheater, a riverboat dock, a river walk, and Riverwalk Stadium. Three blocks east of the Convention Center, Old Alabama Town showcases more than 50 restored buildings from the 19th century. The Riverwalk is part of a larger plan to revitalize the downtown area and connect it to the waterfront. The plan includes urban forestry, infill development, and façade renovation to encourage business and residential growth. A 112,000-square-foot (10,400 m2) The Convention Center, completed in 2007, has encouraged growth and activity in the downtown area including more high-end retail and restaurants coming to the downtown area. Other downtown developments includes historic Dexter Avenue, which will soon be home to a Market District and is currently undergoing a six million dollar streetscape, Maxwell Boulevard which is home to the newly built Wright Brothers Park will soon be home to high-end apartments, and the Bell Building located across from the Rosa Parks Library and Museum will soon be home to retail and residential space. Montgomery's east side is the fastest-growing part of the city. Development of the Delraida neighborhood, along Atlanta Highway, began in 1909, when developers Cook and Laurie bought land from the Ware plantation. Georgie Laurie was a Scotsman, and named the area for Dál Riata; a subsequent misspelling in an advertisement led to the current spelling. The first lots were sold in 1914. The city's two largest shopping malls (Eastdale Mall and The Shoppes at Eastchase), as well as many big-box stores and residential developments are on the east side. The area is also home of the Wynton M. Blount Cultural Park, a 1-square-kilometer (250-acre) park which contains the Alabama Shakespeare Festival and Montgomery Museum of Fine Arts. Montgomery has a humid subtropical climate (Köppen Cfa), with short, mild winters, warm springs and autumns, and long, hot, humid summers. The daily average temperature in January is 46.6 °F (8.1 °C), and there are 3.4 days of sub-20 °F (−7 °C) lows; 10 °F (−12 °C) and below is extremely rare. The daily average in July is 81.8 °F (27.7 °C), with highs exceeding 90 °F (32.2 °C) on 86 days per year and 100 °F (37.8 °C) on 3.9. Summer afternoon heat indices, much more often than the actual air temperature, are frequently at or above 100 °F. The diurnal temperature variation tends to be large in spring and autumn. Rainfall is well-distributed throughout the year, though January through March are the wettest, and October is significantly drier than the other months. Snowfall occurs only during some winters, and even then is usually light. Substantial snowstorms are rare, but do occur approximately once every 10 years. Extremes range from −5 °F (−21 °C) on February 13, 1899  to 107 °F (42 °C) on July 7, 1881. Thunderstorms bring much of Montgomery's rainfall. These are common during the summer months but occur throughout the year. Severe thunderstorms - producing large hail and damaging winds in addition to the usual hazards of lightning and heavy rain - can occasionally occur, particularly during the spring. Severe storms also bring a risk of tornadoes. Sometimes, tropical disturbances - some of which strike the Gulf Coast as hurricanes before losing intensity as they move inland - can bring very heavy rains. As of the 2010 census, the population of the city was 205,764. There were 81,486 households, out of which 29% had children under the age of 18 living with them. The racial makeup of the city was 56.6% Black, 37.3% White, 2.2% Asian, 0.2% Native American, 0.1% Pacific Islander, 2.2% from other races, and 1.3% from two or more races. 3.9% of the population were Hispanic or Latino of any race. Non-Hispanic Whites were 36.1% of the population in 2010, down from 66% in 1970. The population density varies in different parts of the city; East Montgomery(Taylor Rd and East), the non-Hispanic White population is 74.5%, 8.3% African American, Latino 3.2%, other non-white races carry 2.7% of the population. Montgomery's central location in Alabama's Black Belt makes it a processing hub for crops such as cotton, peanuts, and soybeans. In 1840 Montgomery County led the state in cotton production, and by 1911, the city processed 160,000–200,000 bales of cotton annually. Montgomery has long had large metal fabrication and lumber production sectors. Due to its location along the Alabama River and extensive rail connections, Montgomery has and continues to be a regional distribution hub for a wide range of industries and has diversified its economy in recent years with increased employment in sectors such as healthcare, business, government, and manufacturing. Today, the city's Gross Metropolitan Product is $12.15 billion, representing 8.7% of the Gross State Product of Alabama. Montgomery serves as a central hub for healthcare in the central Alabama and Black Belt region. Hospitals located in the city include Baptist Medical Center South, located on the Southeastern Boulevard, Baptist Medical Center East which is located next to the campus of Auburn University Montgomery, and Jackson Hospital which is located next to Oak Park off of interstate 85. Montgomery is also home to two medical school campuses, one being located at Baptist Medical Center South (run by University of Alabama at Birmingham) and the other being located at Jackson Hospital (run by Alabama Medical Education Consortium). At the federal level, Montgomery is part of Alabama's 2 and 7th Congressional districts. currently represented by Martha Roby and Terri Sewell. Montgomery boasts over 1600 acres of parkland that are maintained and operated by the City of Montgomery Parks and Recreation Department. The department also has 24 community centers, a skate park, two golf courses (Lagoon Park and Gateway Park), Cramton Bowl Stadium and Multiplex, two tennis centers (Lagoon Park and O'Conner), 65 playgrounds, 90 baseball/softball fields, 24 soccer fields including the Emory Folmar Soccer Facility, and one riverboat. Currently a new enviromentall park is under construction along West Fairview Avenue close to Interstate 65. The Wynton M. Blount Cultural Park in east Montgomery is home to the Montgomery Museum of Fine Arts. The Museum's permanent collections include American art and sculpture, Southern art, master prints from European masters, and collections of porcelain and glass works. The Society of Arts and Crafts operates a co-op gallery for local artists. Montgomery Zoo has over 500 animals, from five different continents, in 40 acres (0.16 km2) of barrier-free habitats. The Hank Williams Museum contains one of the largest collections of Williams memorabilia in the world. Also Montgomery is home to the recently renovated Museum of Alabama which serves as the official state history museum and is located inside the Alabama Department of Archives and History building downtown. 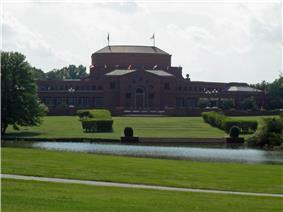 Blount Park also contains the Alabama Shakespeare Festival's Carolyn Blount Theatre. The Shakespeare Festival presents year-round performances of both classic plays and performances of local interest, in addition to works of William Shakespeare. The 1200-seat Davis Theatre for the Performing Arts, on the Troy University at Montgomery campus, opened in 1930 and was renovated in 1983. It houses the Montgomery Symphony Orchestra, Alabama Dance Theatre and Montgomery Ballet, as well as other theatrical productions. The Symphony has been performing in Montgomery since 1979. The Capri Theatre in Cloverdale was built in 1941, and today shows independent films. The 1800 seat state of the art Montgomery Performing Arts Center opened inside the newly renovated convention center downtown in 2007 and is host to everything from Broadway plays to concerts and has hosted big names such as BB King, Gregg Allman, and Merle Haggard. There is a rich history of musical performers with roots in Montgomery. Grammy Award winning recording artist Toni Tennille of the famed duo The Captain and Tennille. Jazz singer and pianist Nat King Cole, country singer Hank Williams, blues singer Big Mama Thornton, Melvin Franklin of The Temptations, and guitarist Tommy Shaw of Styx are among the many musicians to get their start in Montgomery. Author and artist Zelda Sayre was born in Montgomery. In 1918, she met F. Scott Fitzgerald, who was a soldier stationed at an Army post nearby. The house where they lived is today used as the F. Scott and Zelda Fitzgerald Museum. Poet Sidney Lanier lived in Montgomery and Prattville immediately after the Civil War, while writing his novel Tiger Lilies. In addition to being the launching point of Hank Williams Sr.’s career, and the birthplace of Nat King Cole, Clarence Carter, and Tommy Shaw, Montgomery has also seen a few of its rock bands achieve national success in recent years. Locals artists Trust Company were signed to Geffen Records in 2002. Hot Rod Circuit formed in Montgomery in 1997 under the name Antidote, but achieved success with Vagrant Records after moving to Connecticut. The Ed Kemper Trio became well known in Montgomery’s local rock music scene from 1997 to 2004, and was the focus of People Will Eat Anything, a music documentary shown at the Capri Theatre in 2004. Montgomery is home of the Montgomery Biscuits baseball team. The Biscuits play in the Class AA Southern League. They are affiliated with the Tampa Bay Rays, and play at Montgomery Riverwalk Stadium. Riverwalk Stadium hosted the NCAA Division II National Baseball Championship from 2004 until 2007. The championship had previously been played at Paterson Field in Montgomery from 1985 until 2003. 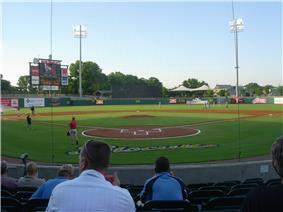 Riverwalk Stadium has also been host to one Southern League All-Star game (2006) and is set to host the 2015 All-Star game. Montgomery is also the site of sporting events hosted by the area's colleges and universities. The Alabama State University Hornets play in NCAA Division I competition in the Southwestern Athletic Conference (SWAC). The football team plays at Hornet Stadium, the basketball teams play at the Dunn-Oliver Acadome, and the baseball team plays at the ASU Baseball Complex, which recently opened on March 26, 2010. Auburn University at Montgomery also fields teams in NAIA competition. Huntingdon College participates at the NCAA Division III level and Faulkner University is a member of the NAIA and is a nearby rival of Auburn University at Montgomery. The Blue-Gray Football Classic was an annual college football all-star game held from 1938 until 2001. In 2009, the city played host to the first annual Historical Black College and University (HBCU) All-Star Football Bowl played at Cramton Bowl. Beginning in 2014 Montgomery will be host to the Southern Intercollegiate Athletic Conference football national championship, this will take place in Cramton Bowl. Starting in December 2014, Montgomery will host the Camellia Bowl at the Cramton Bowl as part of the annual college football bowl game schedule. Montgomery annually hosts the Max Capital City Classic inside Riverwalk Stadium which is a baseball game between big rivals Auburn University and The University of Alabama. In 2016 Montgomery will be host city to the National Horseshoe Pitchers Association World Horseshoe Tournament. Montgomery has many active civic organizations including a number of organizations focused on diversity relations and the city's rich civil rights history. Leadership Montgomery provides citizenship training. The group One Montgomery was founded in 1983 and is a forum for networking of a diverse group of citizens active in civic affairs. Montgomery is also home to the Civil Rights Memorial and the Rosa Parks Library and Museum. The Juliette Hampton Morgan Memorial Library is located at 245 High St. The city of Montgomery and Montgomery County are served by the G.W. Carver, Jeff Davis, Robert E. Lee, Sidney Lanier, and the new Park Crossing High School) as well as 9 magnet schools, 1 alternative school, and 2 special education centers. Montgomery is also home to 28 private schools. In 2007, Forest Avenue Academic Magnet Elementary School was named a National Blue Ribbon School. In 2014 Loveless Academic Magnet Program (LAMP) High School was named the No. 7 magnet school in the United States on U.S. News & World Report's list, a nationwide ranking, bringing national attention to the city. Montgomery has been the home of Alabama State University, a historically black university, since the Lincoln Normal University for Teachers relocated from Marion in 1887. Today, ASU enrolls over 5,600 students from 42 U.S. states and 7 countries. The public Troy University maintains a 3,000 student population campus in downtown Montgomery that prominently houses the award-winning Rosa Parks Library and Museum. Troy University is also a worldwide leader in distance learning programs. Another public institution, Auburn University at Montgomery, with an enrollment of 5,123, is in the eastern part of the city and operates as a satellite campus of Auburn University. Montgomery's Baptist Medical Center South also hosts a branch of the University of Alabama Birmingham medical school on its campus on the Eastern Boulevard. Montgomery also is home to several private colleges: Faulkner University, which has an enrollment of 3,500, is a Church of Christ-affiliated school and it also is home to the American Bar Association-approved Thomas Goode Jones School of Law. Huntingdon College, which has a current student population of 1,000 and is affiliated with the United Methodist Church; Virginia College and Amridge University. Montgomery is served by seven local television stations: WNCF 32 (ABC), WSFA 12 (NBC), WCOV 20 (Fox), WBMM 22 (CW), WAIQ 26 (PBS), WMCF 45 (TBN), WFRZ-LD 34 (Religious and Educational). In addition, WAKA 8 (CBS) and WBIH 29 (independent) are located in Selma, and WIYC 67 (AMV) is licensed to Troy. Montgomery is part of the (DMA), which is ranked 118th nationally by Nielsen Media Research. Charter Communications and Knology provide cable television service. DirecTV and Dish Network provide direct broadcast satellite television including both local and national channels to area residents. The Montgomery area is served by nine AM radio stations: WMSP, WMGY, WNZZ, WTBF, WGMP, WAPZ, WIQR, WLWI, and WXVI; and nineteen FM stations: WJSP, WAPR, WELL, WLBF, WTSU, WVAS, WLWI, WXFX, WQKS, WWMG, WVRV, WJWZ, WBAM, WALX, WHHY, WMXS, WHLW, WZHT, and WMRK. Montgomery is ranked 150th largest by Arbitron. Three major motion pictures have been filmed in Montgomery: The Long Walk Home, set during the Montgomery Bus Boycott, Selma (film), set during the 1965 Selma to Montgomery marches, and Big Fish, partially shot at Huntingdon College. Two interstate highways run through Montgomery. Interstate 65 is the primary north–south freeway through the city leading between Birmingham and Huntsville to the north and Mobile to the south. Montgomery is the southern terminus of Interstate 85, another north–south freeway (though running east–west in the city), which leads northeast to Atlanta. The major surface street thoroughfare is a loop consisting of State Route 152 in the north, U.S. Highway 231 and U.S. Highway 80 in the east, U.S. Highway 82 in the south, and U.S. Highway 31 along the west of the city. The Alabama Department of Transportation is planning the Outer Montgomery Loop to ease traffic congestion in the city. It is planned to connect Interstate 85 near Mt. Meigs to U.S. Highway 80 southwest of the city. Upon completion of the loop, it will carry the I-85 designation while the original I-85 into the city center will be redesignated I-685. Montgomery Transit (The M) provides public transportation with buses serving the city. The system has 32 buses providing an average of 4500 passenger trips daily. The M's ridership has shown steady growth since the system was revamped in 2000; the system served over 1 million passenger trips in 2007. Greyhound Lines operates a terminal in Montgomery for intercity bus travel; Megabus (North America) also operates in the city out of the downtown Intermodel Transit Facility. ^ "City of Montgomery : Capital of Dreams Video". Montgomeryal.gov. Retrieved 2014-08-11. ^ a b An act to incorporate the town of Montgomery in the county of Montgomery. Approved December 3, 1819. Alabama Legislative Acts. Annual Session, Oct - Dec 1819. Pages 110-112. Access Date: 2014-01-05. ^ a b "Population Estimates". ^ Brown, Russel K. (1994). To The Manner Born: The Life Of General William H. T. Walker. Athens, GA: University of Georgia Press. ISBN 9780865549449. Retrieved July 22, 2013. ^ "RSA | Dexter Avenue Building". Rsarealestate.com. Retrieved 2012-11-18. 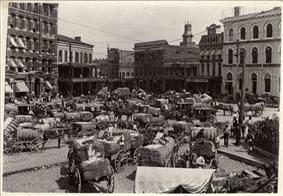 ^ "Montgomery Market District". Montgomery Market District. Retrieved 2014-08-11. ^ Davis, Bethany (2014-01-08). "New luxury apartments coming to Montgomery's Maxwell Blvd". Apmobile.worldnow.com. Retrieved 2014-08-11. ^ "History". Alabama State University. Retrieved August 23, 2008. ^ Wright, Carolyn (13 July 2014). "Early ads boast of fine living in 'Dalriata' neighborhood". ^ "Daily Averages for Montgomery, AL (36104)". The Weather Channel Interactive, Inc. Retrieved August 17, 2008. ^ "Montgomery AL Climate Normals 1961−1990". National Oceanic and Atmospheric Administration. Retrieved April 8, 2014. ^ a b "Montgomery (city), Alabama". State & County QuickFacts. U.S. Census Bureau. ^ "Alabama - Race and Hispanic Origin for Selected Cities and Other Places: Earliest Census to 1990". U.S. Census Bureau. ^ a b "Table 4 – Crime in the United States". ^ a b "Table 8 (Alabama) – Crime in the United States 2009". ^ "Recreation, Sports, Culture". Funinmontgomery.com. 1948-03-01. Retrieved 2014-08-11. ^ "Museum of Alabama". Museum.alabama.gov. Retrieved 2014-08-11. ^ "America's Best High Schools: Magnet Schools List". US News and World Report website. 2014. Retrieved July 2, 2014. ^ "About ASU". Retrieved June 21, 2008. ^ "Auburn Montgomery-AUM:". Retrieved June 21, 2008. ^ "Faulkner University – Discover Faulnker". Retrieved June 21, 2008. ^ "Trenholm State Technical College". Retrieved August 11, 2011. ^ """Most Popular Titles With Location Matching "Montgomery, Alabama, USA. ^ "Senator Richard C. Shelby". Retrieved June 28, 2008. ^ "Chart FY 08.pdf" (PDF). Retrieved June 28, 2008. ^ "Canceled flights: Continental drops Montgomery routes". Retrieved June 28, 2008. "Rosa Parks and the Montgomery Bus Boycott." US History. www.ushistory.org. Web. 24 Jan. 2013. "Montgomery Bus Boycott." Amistad: Digital Resource. www.amistadresource.org. Web. 24 Jan. 2013. "US Marks 50th Anniversary of Montgomery Bus Boycott." American.gov Archive. www.american.gov. 30, November 2005. Web. 25 Jan. 2013. "The Montgomery Bus Boycott." ADAH Alabama Department of Archives and History. www.alabamamonents.state.al.us. Web. 28 Jan. 2013. Cho, Nancy. "Montgomery Improvement Association (1955- 1969). Black Past. www.blackpast.org. Web. 28 Jan. 2013. Cronin, Ginny. "Montgomery, AL: State of the Bus Boycott. A virtual field trip to selected sited of the Civil Rights Movement. www.edtech2.boisestare.edu. 2010. Web. 30 Jan. 2013.